Boxed PenDelfin Picnic Table designed by Jean Walmsley Heap. This PenDelfin Picnic Table is an early piece, only produced by the PenDelfin Studios from c1967 until 1972. 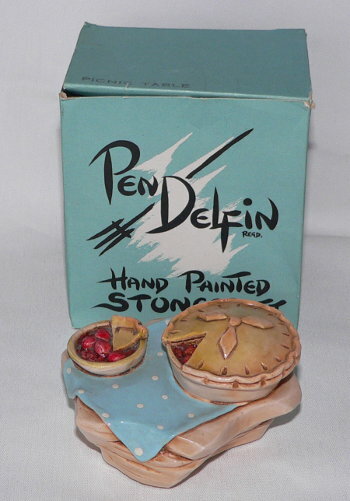 It is a lovely piece of PenDelfin, perfect for Muncher to stand next to or Biscuit Midge. 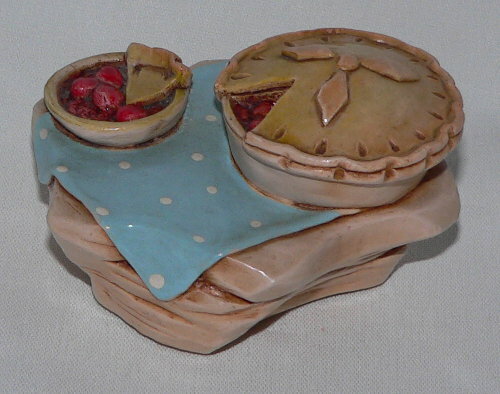 It features a little table with blue table cloth and part eaten fruit pie! 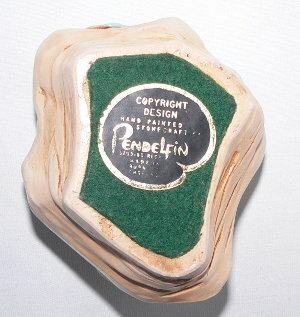 On its base this PenDelfin Picnic Table has its green felt and PenDelfin artist palette, Copyright Design, label. Condition: Excellent overall condition. 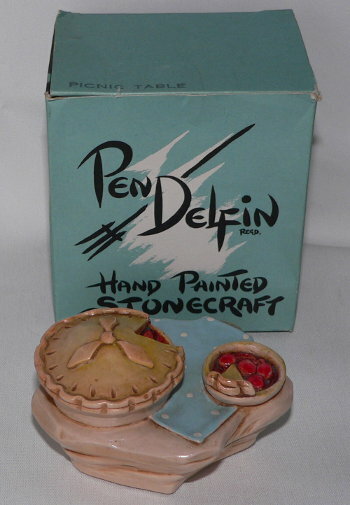 A great piece of PenDelfin in its original box.